I am not sure why doilies are synonymous with Valentine's Day, but this cute Valentine Doily Decoration makes me glad that they are. Turn the red, pink, and white doilies you probably have laying around into a fun valentine decoration for your home or class party. 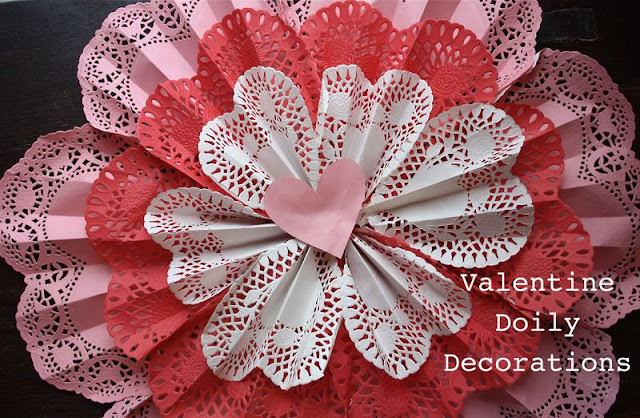 You can see the tutorial for this valentine doily decoration over at One More Moore. I love it. And the other pages shown at the end of your post. Off to check those out as well!